Customizable jewel with different fonts or drawings. For more information ¡Click Here! 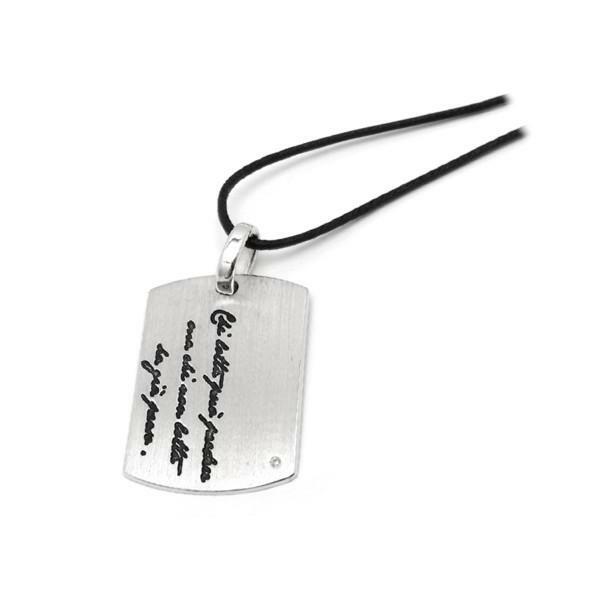 EgoYou Graffiti is an Italian jeweler who presents his collection of personalized jewelry. Rings, pendants and bracelets for men and women where you can include your name or favorite quote. Quality jewelry made of gold or silver that can become the perfect gift for special occasions. Select the desired model, contact us and in ten days you will receive your personalized jewelry.